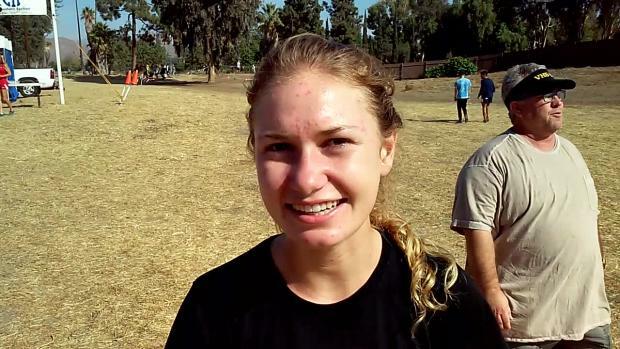 Interview with Anaheim Canyon senior Sara Leonard from the CIF-SS prelims at the Riverside Championship Course. Leonard, the top returning state placer from last season, dishes on her competition at next week's section final and her recent signing with Utah. 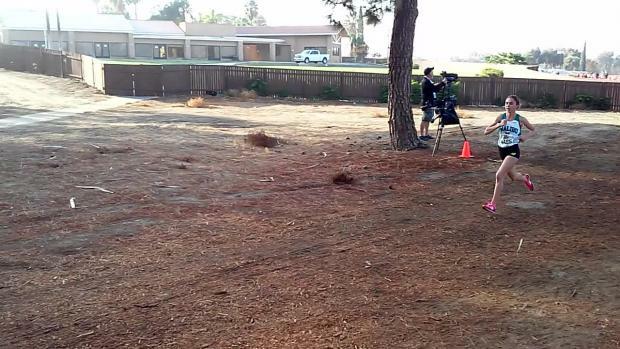 We caught up with Claremont junior Azalea Segura-Mora in advance of the CIF-Southern Section Division II preliminaries at the Riverside Championship Course. 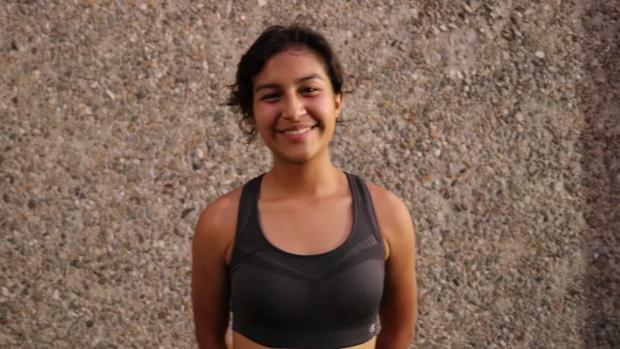 Segura-Mora is one of the top runners for the versatile Wolfpack girls team, seeded No. 1 for the prelims and ranked No. 5 nationally in the MileSplit50. 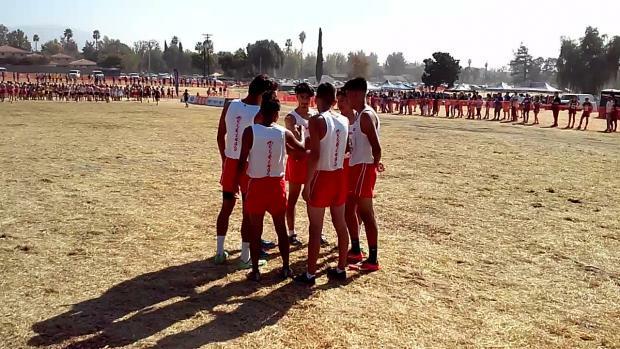 Segura-Mora was on the line for Claremont as it won the CIF-State D-II title each of the last two years and also when it made the program's first trip -- boys or girls -- to compete at the Nike Cross Nationals. 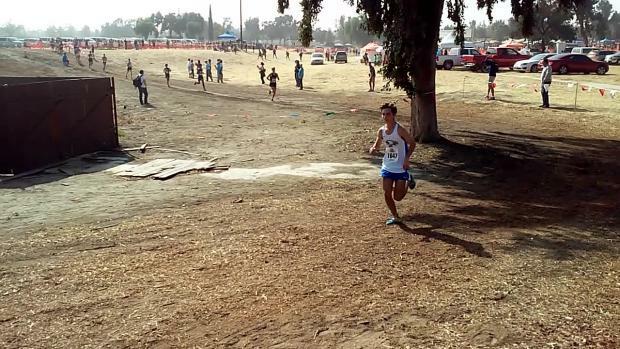 Race footage from Heat 1 of Boys Division 2 at the CIF-Southern Section preliminaries Saturday at the Riverside Championship Course. Elias Opsahl of Redlands East Valley won the heat. 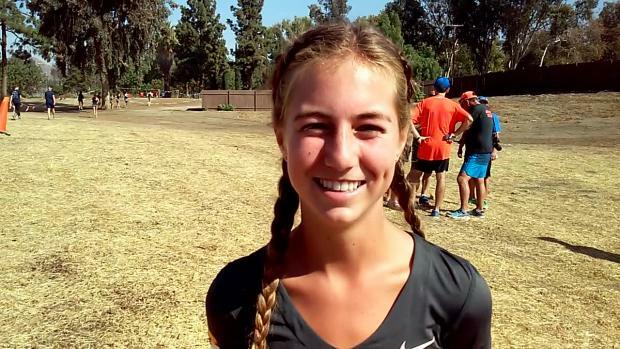 The second of two days of the CIF-Southern Section preliminaries produced a course record from Malibu's Claudia Lane as runners and teams jockeyed for qualifying position for the Nov. 18 CIF-SS divisional championships. 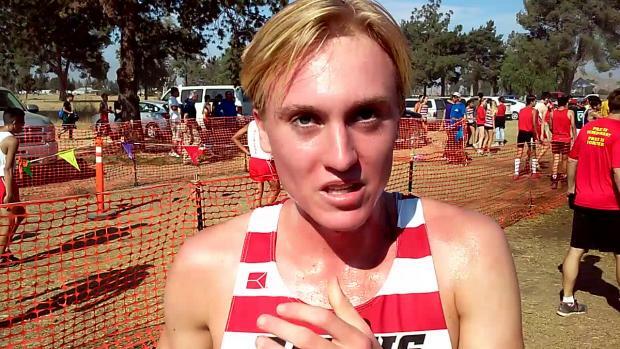 Here's a recap of the second day of races at the Riverside Championship Course. 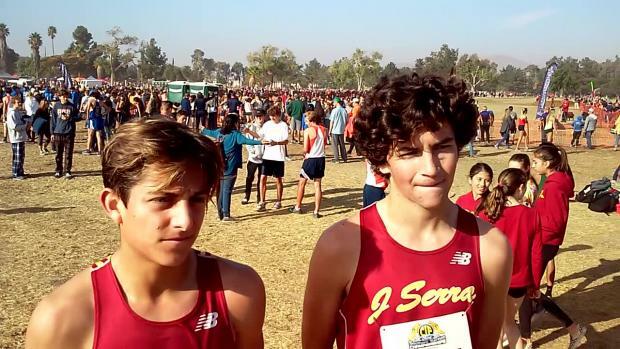 Interview with Anthony Grover and Peter Herold of JSerra following Saturday's CIF-Southern Section Division 4 Heat 1 race won by Grover at the Riverside Championship Course. Finish of Heat 1 of the boys Division 3 race at the CIF-Southern Section preliminaries Friday on the three-mile Riverside Championship Course. Interview with Mission Viejo junior Kelli Hines looking toward next week's CIF-Southern Section Division 2 championship. Hines, who missed last season with injury, was held out of Saturday's preliminary race at the Riverside Championship Course. Girls Division 4 Heat 2 race where Malibu junior Claudia Lane obliterated the Riverside Championship Course record with a time of 15:49.4. This clip shows Lane's finish. 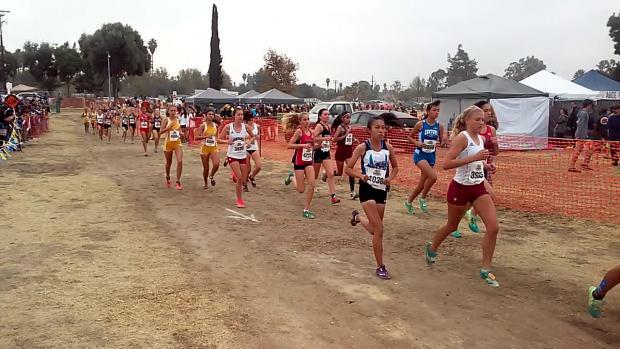 Riverside King junior Lauren Peurifoy sets a course record in winning Heat 1 of the girls Division 1 preliminaries on Friday at the three-mile Riverside Championship Course. 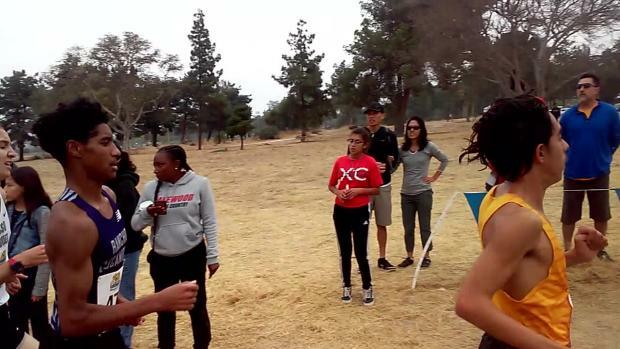 Interview with Rubidoux's Kevin Ramos following his Division 3 heat victory at the CIF-Southern Section prelims Friday on the three-mile Riverside Championship Course. 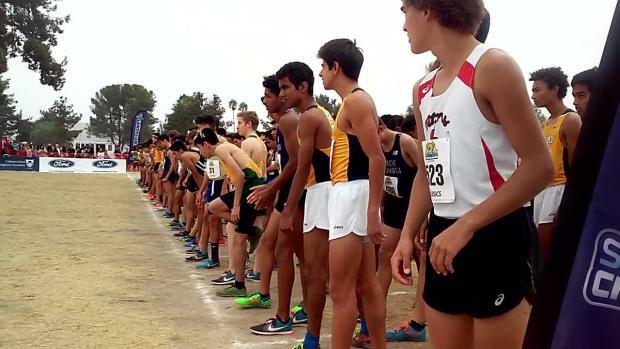 Start of Heat 1 of the boys Division 1 race at the CIF-Southern Section preliminaries Friday on the three-mile Riverside Championship Course. 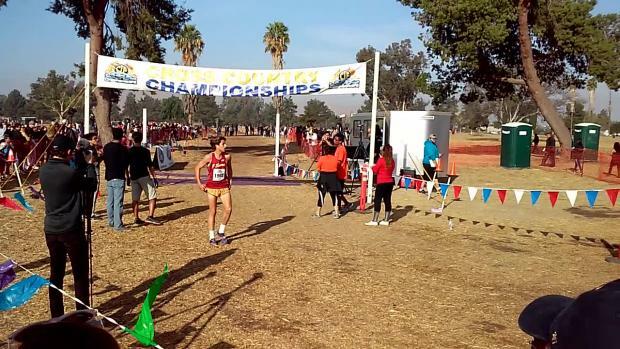 Finish of Heat 1 of the Boys Division 4 preliminary race won by JSerra's Anthony Grover on Saturday at the 3 mile Riverside Championship Course. 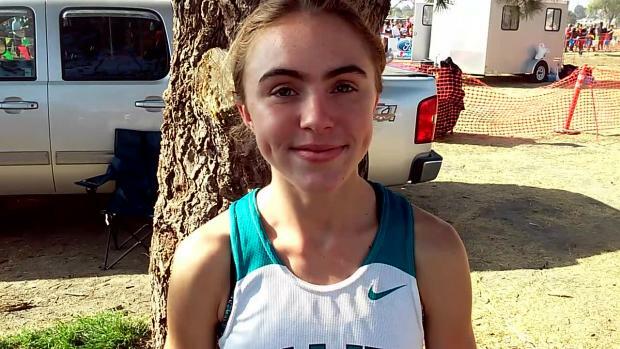 Interview with Malibu junior Claudia Lane following her record-setting performance in the CIF-Southern Section Division 4 preliminary heat 2 on Saturday at the Riverside Championship Course. Lane's time of 15:49.4 obliterated her previous course record of 16:30. 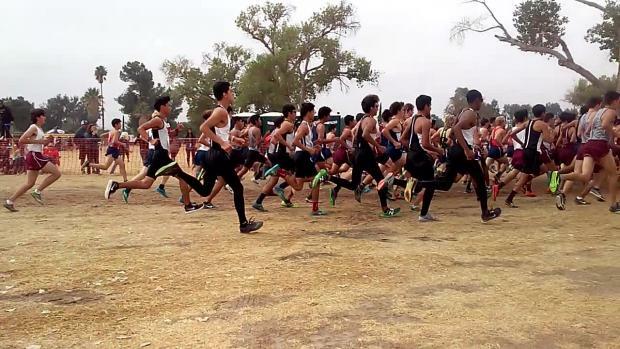 Heat 2 of the boys Division 1 race at the CIF-Southern Section preliminaries Friday on the three-mile Riverside Championship Course. 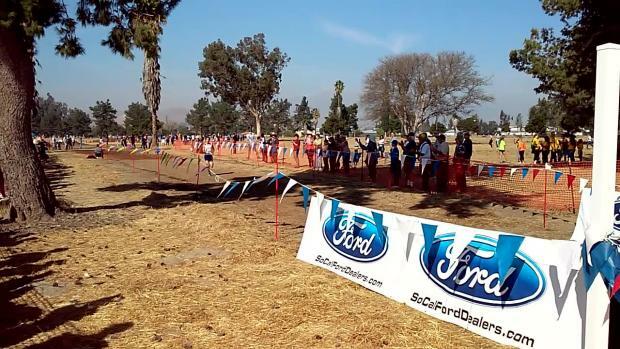 Finish of Heat 2 of the boys Division 1 race at the CIF-Southern Section preliminaries Friday on the three-mile Riverside Championship Course. 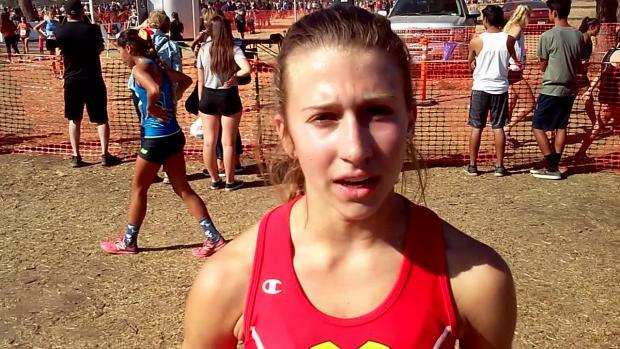 Interview with Ashley Johnson of Mission Viejo following Saturday's CIF-Southern Section Division 2 Heat 1 race at the Riverside Championship Course. 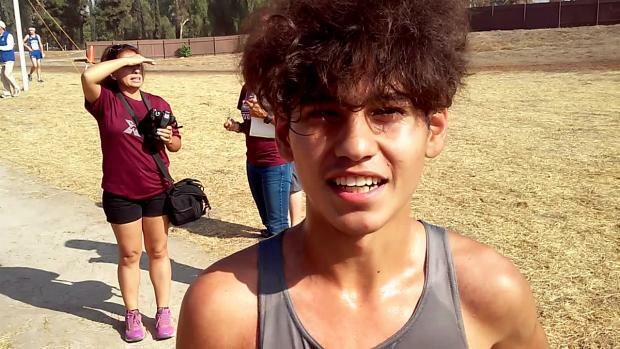 Interview with Elias Opsahl of Redlands East Valley after he won the Boys Division 2 Heat 2 race Saturday at the CIF-Southern Section preliminaries at the Riverside Championship Course. 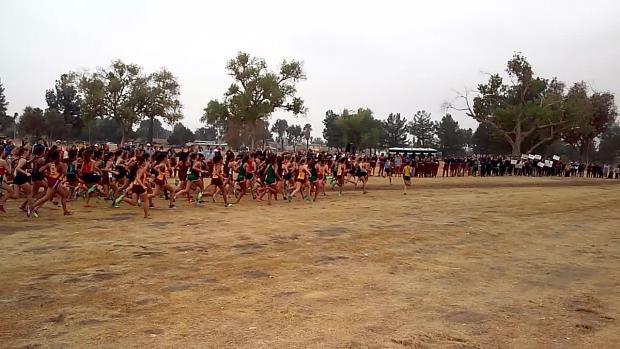 Boys Division 5 Heat 1 race at the CIF-Southern Section preliminaries at the Riverside Championship Course. Girls Division 4 Heat 2 race where Malibu junior Claudia Lane obliterated the Riverside Championship Course record with a time of 15:49.4. This clip shows Lane's total dominance during the middle of the race. 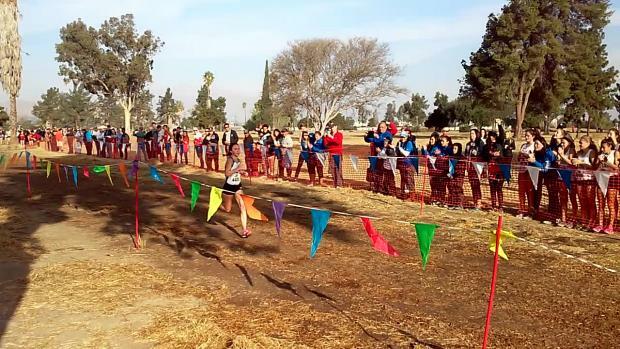 Finish of Heat 1 of the girls Division 3 race at the CIF-Southern Section preliminaries Friday on the three-mile Riverside Championship Course. 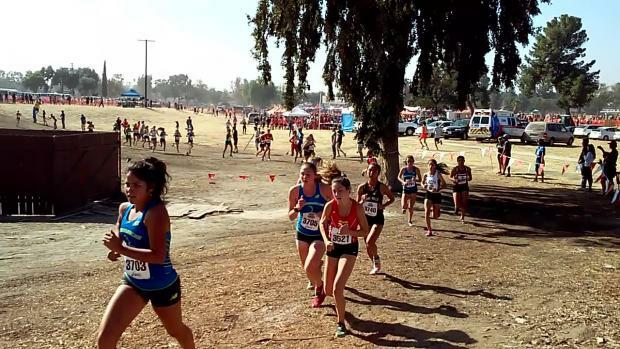 Girls Division 2 Heat 1 from Saturday's CIF-Southern Section prelims at the Riverside Championship Course. 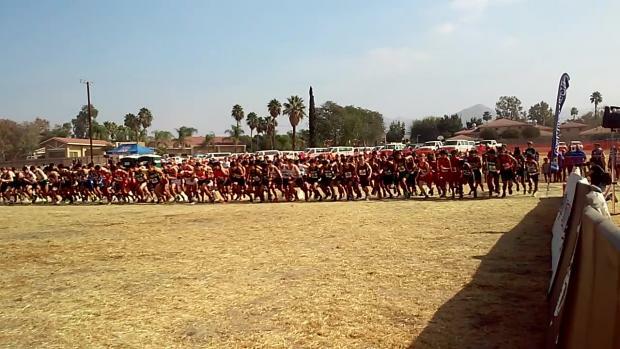 Combined video showing the finish of Heat 1 of boys Division 1 and the start of Heat 2. 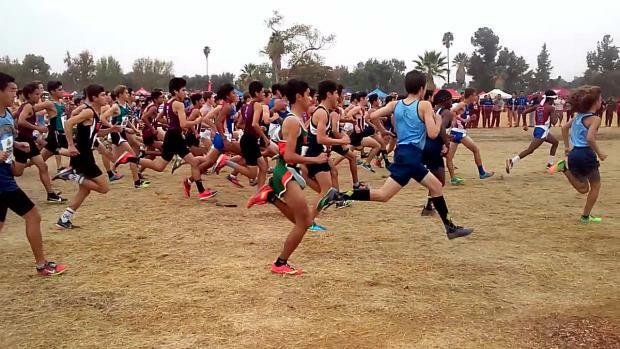 Heat races overlapped Friday during the CIF-Southern Section preliminaries at the three-mile Riverside Championship Course. Finish of Heat 3 of the boys Division 1 race at the CIF-Southern Section preliminaries Friday on the three-mile Riverside Championship Course.